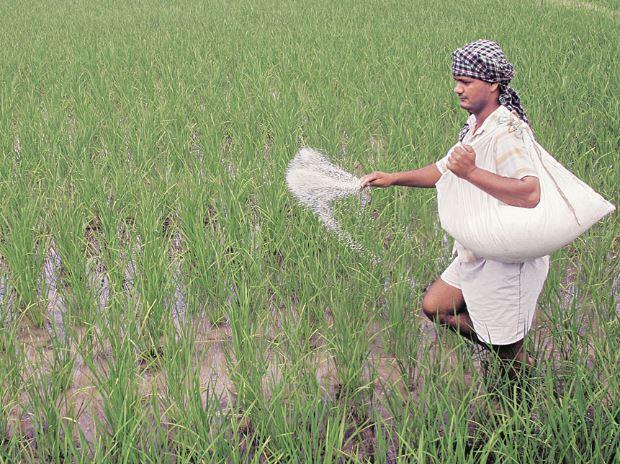 The Fertiliser Ministry has sought additional Rs 23,000 crore from the Finance counterpart to meet the subsidy requirement for the January-March quarter, a senior government official said on Tuesday. Till December, a subsidy payment of Rs 23,283 crore was due towards fertiliser companies and the ministry was left with about Rs 13,056 crore from the budgeted allocation, he added. "We have sought an additional budget of Rs 23,000 crore to meet the subsidy requirement for the current quarter," the official said. The backlog of pendency will be cleared from the balance funds available during the current fiscal and the remaining dues will be paid on receipt of additional budget, he said. The government releases subsidy to the fertiliser companies on regular basis subject to the availability of budget. For the current fiscal, the government had budgeted Rs 73,439.85 crore for payment of fertiliser subsidy. The government has already paid Rs 60,383.79 crore till December of this fiscal, the official data showed. The subsidy is not being released to farmers directly, it is given on various soil nutrients to fertiliser companies in public, private and cooperative sector. The Fertiliser Ministry is giving subsidy through the Direct Benefit Transfer (DBT) scheme, which is different from the traditional DBT implemented for LPG. Under the fertiliser DBT system, the soil nutrient is made available to farmers/beneficiaries at a subsidised prices and 100 per cent subsidy on the fertiliser grades is released to the companies instead of the beneficiaries on the basis of actual sales made by the retailers. Sale of all subsidised fertilisers to farmers is being made through Point of Sale (POS) devise installed at each retailer shop and the beneficiaries are identified through Aadhaar card, kisan credit card, voter identity card among others.